We are leading manufacturer of Pre Coated Sheets. 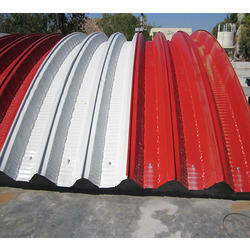 We have specialization in offering the most advanced and highly reliable Airport Pre Coated Sheets. 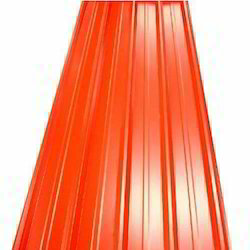 Our offered profiles are ideal for wide application area; primarily used for roofing these pre-coated sheets are made up from galvanized steel. These sheets are highly acclaimed for its superior load bearing strength and aesthetic properties, which make them a best buy product at the price range we offer. Keeping in mind the diverse requirements of our clients we are involved in offering to our clients a wide range of Industrial Pre Coated Sheets. These are manufactured using best quality material and advanced technology under the strict guidance of our experts. We offer these in different specifications and are well known due to their high durability and accurate dimensions. Moreover, we also assure timely delivery of our products.